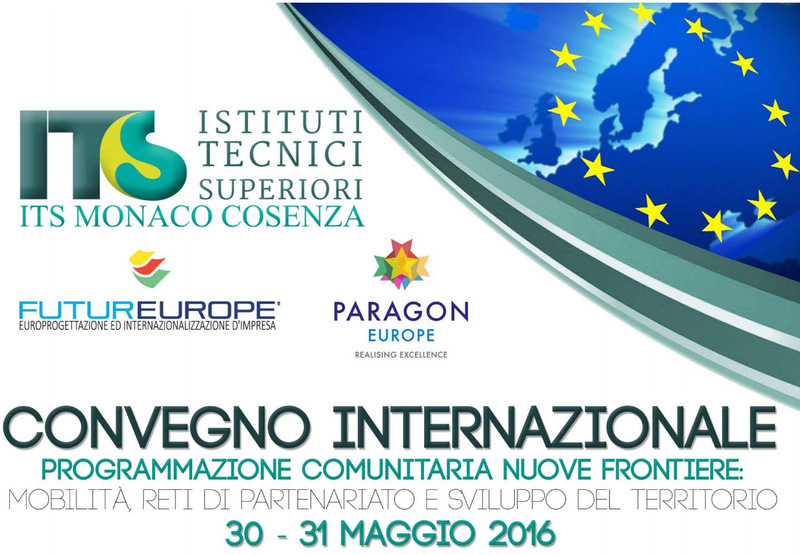 The Cosenza Foundation ITS "A.Monaco" in collaboration with Futureurope Stp and Paragon Europe is pleased to invite you to the international conference "New Frontiers Community Programming - Mobility, Partnership Networks and Territorial Development" to be held in Cosenza on 30 and 31 May 2016. Please register for the event on the website and the programme will be made available in the coming days. Ing. Aldo Trecroci - responsabile Lavori Pubblici Regione Calabria.